Village Weddings – 3 in 1! Markbeech is a terrific picturesque venue for a country village wedding. 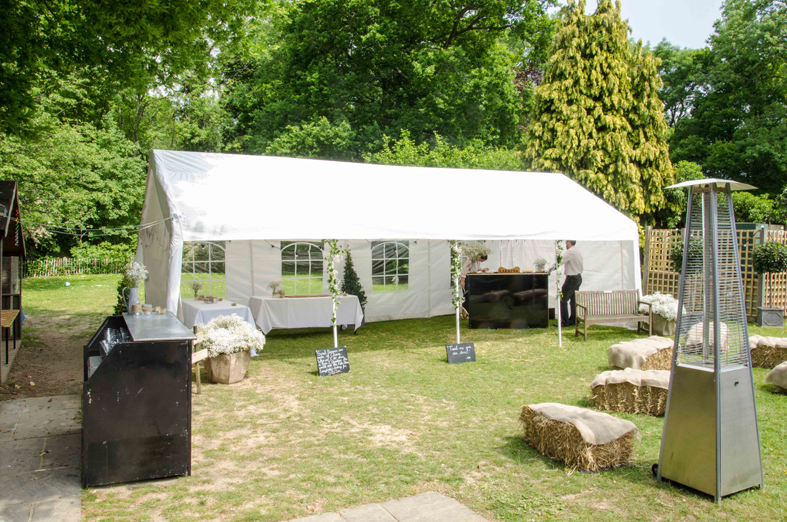 Guests can arrive for a welcome drink at the Kentish Horse pub if they so wish, move next door to Holy Trinity Church for the wedding ceremony and then cross the road to Markbeech Village hall for the reception – all 3 venues being within 100 metres of each other! 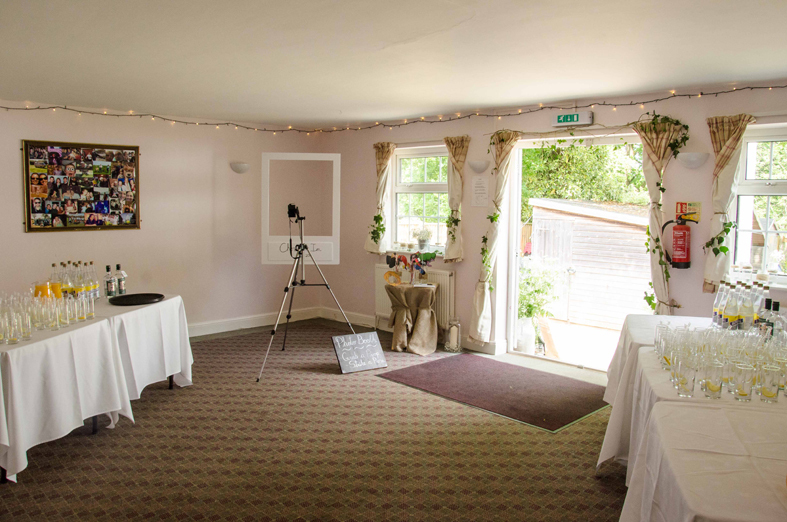 The pictures show how previous guests have erected marquees in the garden of the Village Hall to accommodate the wedding meal and speeches, set up a bar in the smaller room in the hall, and used the main hall for dancing. It creates a really cosy and intimate venue.